The Product offer in a side menu cs-cart modification allows you to display one product (on sale offer, best offer, best seller, any product) on the third level of a side menu. Works for a side menu with levels. For a three-level menu, a product will be displayed on a third level. (If you have a two-level menu, let us know it, we will make this modification for a two-level menu). 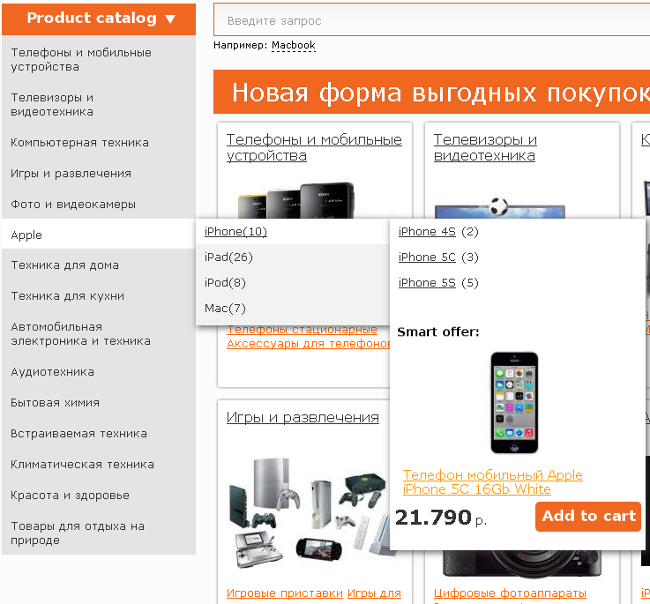 A product is displayed with the name, price and Add to cart button. The administrator chooses a product to display manually, or a product can be chosen randomly from the created hidden subcategory (On sale, Bestseller, name it as you wish). Now we are ready to implement this CS-Cart modification for $240. Contact us, if you are interested or have any questions.